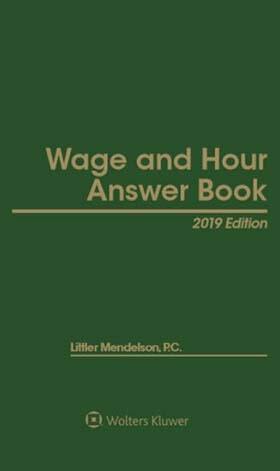 Wage and Hour Answer Book, 2019 Edition gives you authoritative, plain-English explanations of how and when the Fair Labor Standards Act (FLSA) and other wage and hour laws govern the employer-employee relationship, and what may happen when violations occur. Spend less time struggling with payroll and more time on the things you love! When you can handle payroll, you can handle pretty much anything. The benefits and resources an American Payroll Association membership provides help you overcome the daily challenges, keep in compliance, and avoid the stress of payroll so that you have the time and freedom to pursue a better work-life balance. Save $35 now when you sign up for membership and use code APAMEMB at check out! This complimentary white paper specifically analyzes the impact of the Tax Cuts and Jobs Act of 2017 (P.L. 115-97) – the most sweeping tax legislation in 30 years – on retirement, benefits, executive compensation, and payroll professionals.